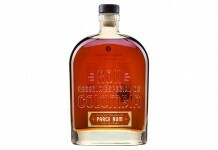 This special Plantation Rum release is the third collaboration between Cocktail Historian David Wondrich and Alexandre Gabriel, owner of Cognac Pierre Ferrand and Plantation Rum. Their first collaboration was Pierre Ferrand 1840 Original Formula, a resurrection of an old style of cognac based on a sample Alexandre acquired at auction. Distinctly different from most modern cognacs, the 1840 Original Formula lends itself very well to making cocktails, and was originally produced with the craft cocktail movement in mind. Plantation Stiggin’s Fancy Dark Pineapple Rum takes another recipe inspired by writings from the 1800s. This time inspiration came from the 1824 English Journal of Patent and Inventions and the 1844 Journal of Agricultural Society. As with the 1840 Original Formula, the initial focus for this rum was bartenders, and the first batch of this rum was created specifically for Tales of The Cocktail in 2014 as a “one time only” release to honor the bartenders who work exceptionally hard in the Tales of the Cocktail Apprentice Program. The rum was so well received that Plantation has brought it out as a national product. Plantation Stiggin’s Fancy Dark Pineapple Rum is made using the rinds of Queen Victoria pineapples infused with Plantation 3 Stars white rum for one week and then distilled in pot stills. This is blended with Plantation Original Dark Rum which has had the flesh of the pineapple infusing in it for three months. Plantation has created an excellent video which shows the entire process and is well worth watching. 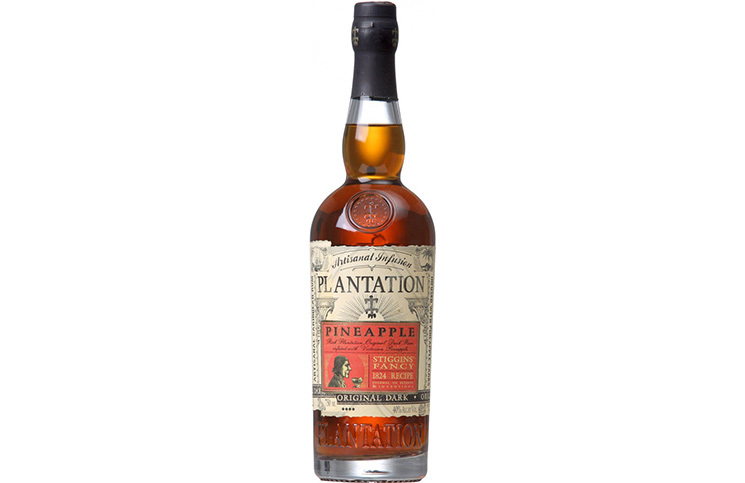 Plantation Stiggin’s Fancy Dark Pineapple Rum (40% ABV, $34.99) – dark brown in color, this rum is effusive with its aroma. Fresh pineapple leaps out of the glass, even when it’s far away from your nose. What’s nice about the nose, although the pineapple is expressive and highly aromatic, is that it doesn’t obliterate the actual rum aromas that you’d expect to find. 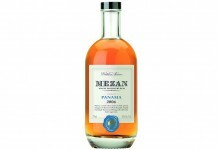 In the core of the nose is molasses, vanilla, banana, citrus, and sugar cane. These aromas are well tied into the strong pineapple, which reads both as top note and in the core of the nose. On the palate, this rum opens much more like a traditional rum than a flavored one with deep molasses, brown sugar, vanilla, and banana. The pineapple is certainly there at the beginning, but it’s not the star, the rum is. The mouthfeel of Stiggin’s Fancy Dark Pineapple Rum is also much closer to a straight rum than a flavored one, and there doesn’t seem to be noticeable sugar added to the mix. As we move towards the midpalate, the pineapple really begins to emerge, and it does so without dropping the rum notes established in the opening. The expression of pineapple in the midpalate is exceptional; it’s multidimensional, capturing the depth and complexity of a great pineapple, from the smoky exterior to the acidic core along with the slightly sweet flesh of the fruit. It’s all here, and it’s perfectly integrated with the dark molasses, vanilla, banana, and sugar cane of the base rum. The midpalate also adds some nice spice and citrus for a very complex and wonderfully balanced experience. The finish is long, slightly dry, with some nice spice and a touch acidic. As with the rest of the taste experience, the finish presents pineapple wonderfully as a top note, supported by dark brown sugar as the base. 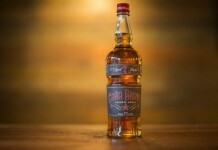 It’s no surprise that Plantation Stiggin’s Fancy Dark Pineapple Rum went from well kept secret at Tales of the Cocktail to national product. It’s one of the very best flavored rums out there. What’s great about this rum is that it shows a deep understanding of flavor and how a flavored or infused product can capture the very best of what’s being infused without losing the core character of what it’s being infused in. 94 points.